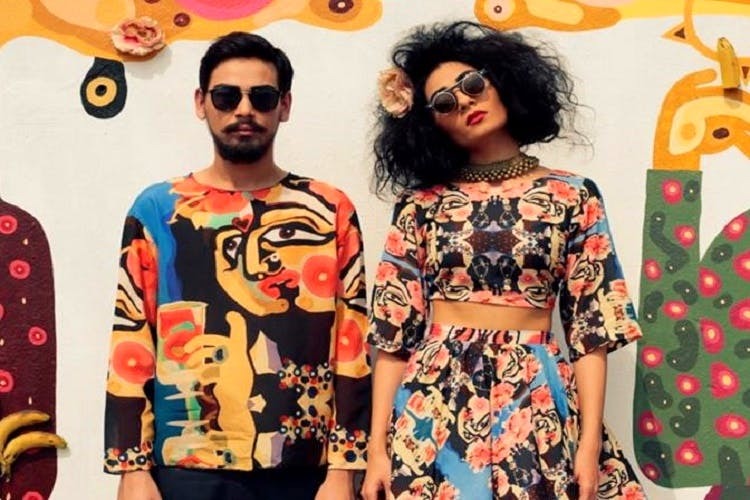 Who would have thought, but lately, the fashion scene in Kolkata is turning out to be as diverse as the city itself. So if your wardrobe need a quirk update, check out these new designers who are pushing the envelope, and bringing about some much-needed change to the city’s style. What happens when a New York-based professional has a vision, and takes a plane back home to make it come true? Take a cue from Prateek Kayan, who came up with Brown Boy, a menswear brand that uses 100% certified organic cotton, crafts all their products by hand, and became one of the few brands certified by Fair Trade! What we love about Brown Boy is that it is 100% vegan, is PETA approved and uses non-toxic dyes, fabrics and pure organic cotton. We can’t get enough of how Kayan’s style uniquely combines classic high-end aesthetics with edgy, modernistic designs, making it not only our favourite, but also the choice of the likes of Varun Dhawan, Siddharth Malhotra and Arjun Kapoor! Prices range from INR 1,000 to INR 5,000. Looking for feminine pieces with a bold edge of androgyny? Look no further than Sneha Arora. This NIFT alumni believes in storytelling through design, and specialises in creating edgy, minimalist silhouettes for the independent, free-thinking woman. We love the classic, masculine tailoring meshed into soft pastels and light, flowy fabrics. If you aim to stand out and let your uniqueness shine through, count on Arora’s effortless, functional styling to help you breeze through. Prices range from INR 6,000 to INR 30,000. We understand the need for a little experimental touch in everyone’s wardrobe, which is why we have all you folks covered. Futuristic and avant-garde, Amalraj Sengupta knows how to experiment with structures and fabrics, with meticulous artistic finish. Take a look at his award-winning collections and splurge on his artisanal brilliance to give your wardrobe an avant-garde twist. Prices on request. If you are looking for an infusion of Bengali culture and modern fashion, get introduced to internationally-acclaimed designer Rimi Nayak. What sets her apart from most other designers is her ingenious use of Bengali motifs. We completely dig her luxurious drapes and one-of-a-kind fabric textures, so if you like your ‘Bangaliana’ edgy and contemporary, Nayak’s style is the perfect fit. Prices range from INR 9,000 to INR 24,000. Inspired by regional styles and native art, Paromita Banerjee aims to pay homage to local artisans by emulating their raw handcrafted styles in her drapes and textiles. This NID alumni is our first choice when it comes to indigenous fashion rich in regional narratives and culture. Make space in your wardrobe for her critically-acclaimed collections. The sarees range from INR 6,000 to INR 8,000, while her other pieces range from INR 7,000 to INR 16,000. A Conde Nast College degree and job prospects in Europe failed to lure him into settling abroad. Instead Ayushman Mitra gave in to his love for Kolkata and started BOBO. We just love how BOBO breaks away from mundane fashion norms, with its surreal designs, vibrant colours, unconventional cuts and recurring floral motifs – so we recommend it to anyone looking to add a little psychedelia in their taste! What more, Mitra hasn’t confined himself to just apparels, but has also ventured into furniture, sculpture, paintings and accessories! We say you head over to his store on Chowringhee Road right now and see for yourself what we are talking about. Prices start from INR 3,000 and vary across collections.